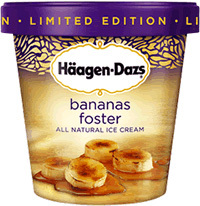 Haagen-Daz has new limited edition flavors and one of them happens to be bananas fosters flavor. I was excited to see this at the store and couldn’t wait to try it. I was a little hesitant at first because sometimes banana ice cream can taste so artificial, but to my surprise it was so tasty. Love love love! Totally tasted like bananas fosters, but in ice cream form. Now. if they would only bring back their sticky toffee pudding ice cream. These two flavors would definitely be stocked in my freezer all the time. Happy St. Patrick’s Day! 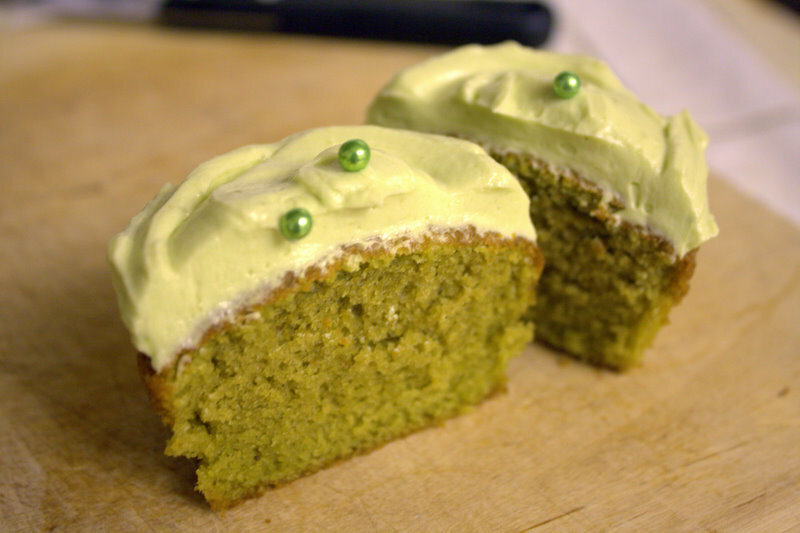 In honor of St.Patty’s day, I made green cupcakes, but went the non-traditional route and decided to make green tea cupcakes. Not very Irish at all, but what better excuse than to try something new and green for this holiday. After doing some research, I decided to try to use a regular vanilla cupcake recipe and add some green tea (matcha) powder. Luckily, for me it turned out well and the combination of the vanilla and green tea tasted good. The best part about these cupcakes was definitely the frosting. It’s like a lighter more heavenly version of a buttercream frosting. 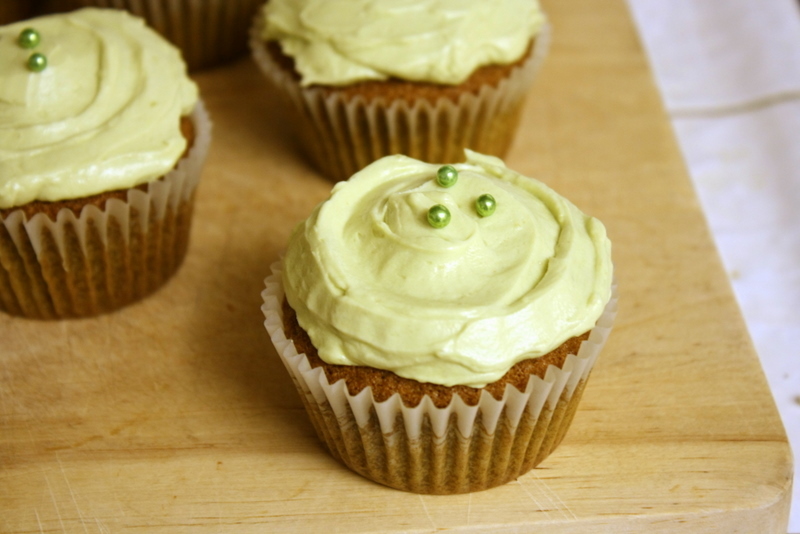 I used a green tea frosting recipe from the Baked cookbook and I’m so glad I decided to try it. This frosting recipe definitely requires more effort, but the results are worth it! The frosting + cupcake made for an excellent pairing. I think everything had the right amount of green tea flavor. It was subtle and not overpowering. One more thing before I go and eat another cupcake, if you are wondering where you can buy green tea (matcha) powder, you can usually find it at specialty food stores or better yet at Japanese markets if there’s one in your area. If you still can’t find it, you can also order it online. Just make sure you buy unsweetened green tea (matcha) powder. Also, the higher the quality green tea (matcha) powder you purchase, the brighter green your baked goods will turn out. Good luck!